Address: 142 W. Yellowstone Ave.
Stop in at the Cody Visitor Center and pick up your $5 discount coupon at the Cody Firearms Experience. 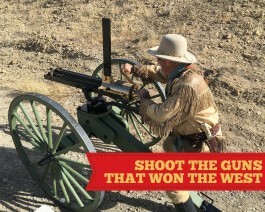 Learn about the historical significance and evolution of firearms in the old west. They teach firearms safety and use, and allow people to experience that history through the actual use of firearms.